7-JUL-2016: New version with better compatibility with the Ingredient Moodlets From Meals mod. If you are using both these mods, please download the latest version of that mod as well. The quality of food dropping after being reheated can be disabled via tuning. See the Tunings section below. The "Microwave" interaction no longer appears on fridges if there is no microwave on the lot. Store recipes can now be reheated even if you do not have the Cook With Any Ingredient mod. 30-MAY-2015: Children can now use microwaves to reheat food and have quick meals (WITHOUT distorting! Though since there are no child animations for opening the microwave door, the food is simply magically placed in there). 5-APR-2015: Dropped a whole lot of unnecessary code that was needed for compatibility with my other mods. In addition the kInvalidRecipes list in the XML now accepts all recipes (previously cookable recipes were ignored). Added Key Lime Pie and Banana Cream Pie to the list. 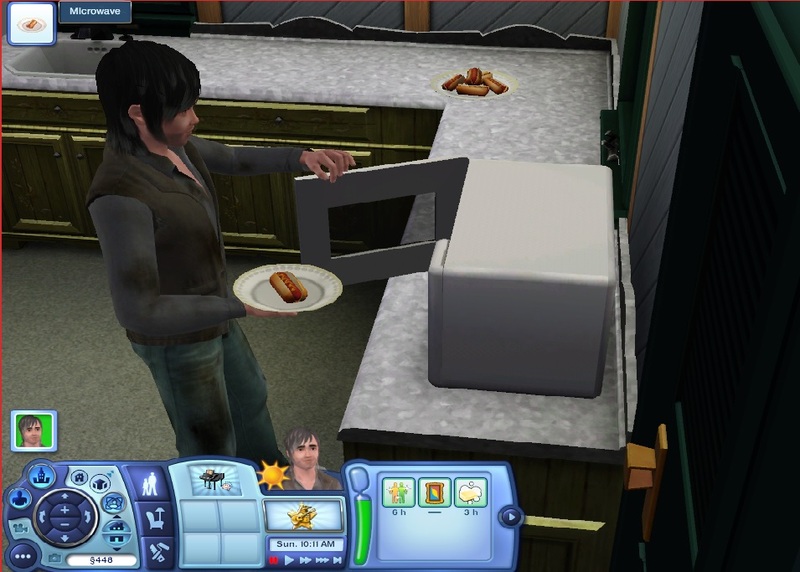 This mod adds a custom "Microwave" interaction to food objects that lets sims reheat the food in a microwave. On group servings there are two separate interactions, one for reheating the entire serving ("Microwave") and the other is for taking just a single portion to reheat ("Grab a Plate/Bowl/Slice (Microwave)"). 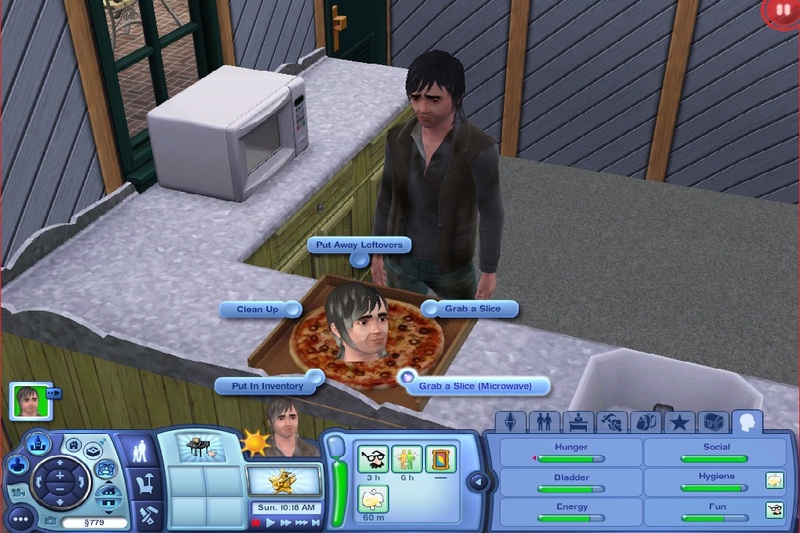 You can't reheat an entire box of delivery pizza though, since while possible in game, it isn't exactly a pretty sight. 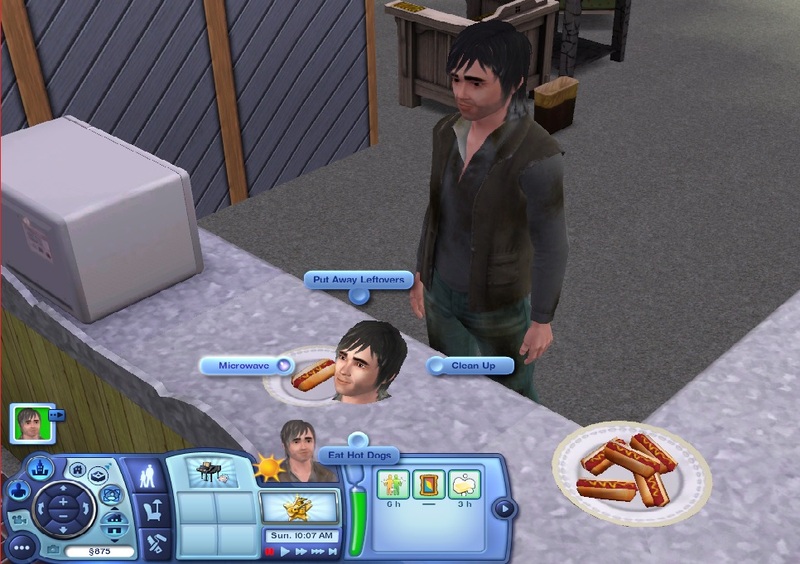 If your sim has any leftovers in the fridge, the "Microwave" interaction will appear on fridges on the lot allowing you to choose any one of them to reheat before eating. Interaction cannot be used on spoiled or burnt foods. Neither can foods that don't require a heat source to cook (Autumn Salad, Roll Sushi etc). There's a list in the mod's tuning specifying which ones that cannot be microwaved with this mod. Feel free to edit it as you wish. Reheating a meal will reduce the meal's quality (unless it wasn't that high quality to begin with) (Can be disabled by tuning). The mod also allows children to use microwaves make quick meals and reheat foods (WITHOUT distorting!) Though since there are no child animations for opening the door, the food is simply placed inside the microwave magically. kInvalidRecipes: List of recipes that cannot be reheated (microwavable snacks, pet foods, and cookable recipes are already accounted for by the mod itself so don't have to be listed here), to add a recipe refer to the RecipeMasterList XML in the GameplayData (or the equivalent XML in any mod adding a custom recipe to your game) and type in the "RecipeKey" for that recipe into this list. Note: If you are also using the Ingredient Moodlets From Meals + More Filling Kelp & Fish Meals For Mermaids make sure to download the latest version as versions prior to from 14-FEB-2015 will conflict with this one.